Educators, Parents and Students from all South Western Ontario school districts have enjoyed learning EdCamp style. For our third event we are happy to once again invite all boards of education to participate! 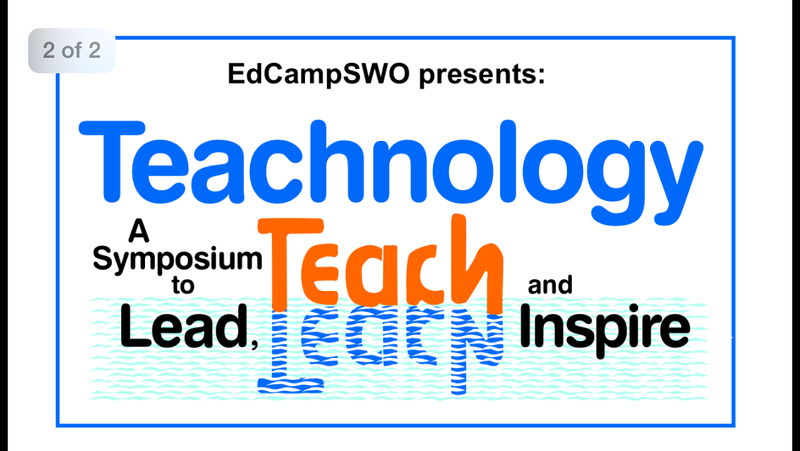 Join innovative and engaged educators from South Western Ontario at #edcampswo 3. Learn together on November 8th at Tecumseh Vista K-12 school–GECDSB. It will be a day of self-serve, all-you-can-eat professional learning. This year we will feature participant sessions and pre-planned sessions based on reported needs from teachers like you! This year special guest and participant George Couros- The Principal of Change (georgecouros.ca)will host a keynote address calling all to (Conn)action!